Coat the inside of a mug with cooking spray (or wipe with oil or butter). Add the egg, milk (if using), peppers and onions, black beans (if using), and garlic powder to the mug. Whisk together until combined. Microwave on high for 30 seconds. Stir and microwave another 30 seconds. Repeat if necessary until eggs are cooked through. Microwave tortilla for 20 seconds until warm. 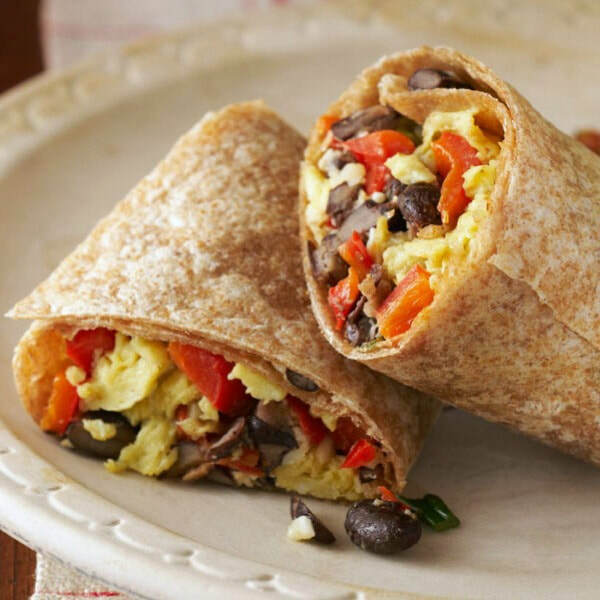 Add egg mixture to tortilla, top with salsa, roll up, and enjoy!